Whatever your English Language needs, the Intensive English Language Center has the program for you! Are you looking for a place to learn to speak English fluently while learning about American culture and having a good time? Then Check out our Intensive English Language Program for International Students!! Is English your second language? Are you currently residing in Bakersfield and want to improve your English speaking and writing skills? Then take the classes that will help you reach your goal! Are you an employer who would like to give your employees the opportunity to develop their English speaking skills? Try out our Workforce English Program! 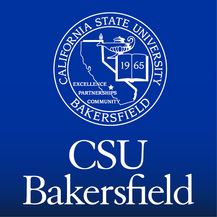 The Intensive English Language Center (IELC) program is located on the CSU Bakersfield campus and offers an intensive English language program designed to prepare students for successful Academic Study in the United States. The program offers a full-time intensive American language program designed to prepare students for successful academic study in the United States. Three 11-week sessions are offered in the fall, winter, and spring, with beginning dates in January, March, and September. A 10-week summer session is offered, with a starting date in mid-June. Founded in 1994, IELC hosts an average of 40 - 50 students each year from countries such as China, Japan, Kuwait, Mali, Mexico, Saudi Arabia, South Korea, Taiwan, Thailand, Venezuela, Vietnam, and Yemen. These one to four week English Language and Culture programs are organized for overseas groups of six or more students. Classes are designed to introduce students to aspects of American culture and communication skills and help them apply this knowledge in their personal lives, work, and studies. Topics of instruction deal with everyday language in the community, including introductions, lifestyles, education, shopping & dining, public transportation, sports & recreation, and California & American history. Programs consist of both classroom instruction and out of class activities, giving participants real-life experience in using English beyond the walls of the language classroom. Out of class activities focus on helping students apply and reinforce, in real-life situations and settings, the language and cultural content they are studying in class through a variety of field trips, cultural presentations, and projects. The non-credit program meets 23 hours per week and offers courses in seven skill levels to improve the reading, writing, listening, and speaking skills (including pronunciation) of students for academic and everyday living purposes. In addition, afternoon classes are offered in American Culture, study skills, and TOEFL preparation, along with a wide variety of other interesting subjects. The faculty of CSUB strongly recommend all international students study in the intensive English Language Center program prior to beginning university coursework. Graduates of the IELC program have no difficulty in maintaining average to above average grades in their university courses. Students are provided safe environments in which to live during their tenure at CSUB through the IELC Homestay program. Additionally, students take field trips to popular California destinations, learning about American and California history and culture. The IELC Bridge Program prepares students for the transition to university degree programs. The program consists of morning Oral Communication and reading skills classes, English 90 (a credit/non credit writing/grammar course holding 5 units of university credit), and one additional 5 unit university level course. Students testing into IELC's Level 7 who have a desire to pursue a degree are strongly encouraged to participate in this program. Students entering the Bridge Program must have a "B" (85%) average in all IELC coursework, minimum TOEFL score of 490 (57iBT), achieve a placement in Level 7 of IELC classes, and obtain the approval of the IELC Academic Coordinator.